Every week I religiously capture the value of each of my investments which I then sum to give me an instantaneous net worth. This week saw my net worth increase by more than £5,000 without contributing any new money. For me that is a very large amount of money, and of course Mr Market could take that £5,000 away this week, but it reminded me of the two phases of wealth building that I'm seeing as I'm working to build wealth over a quite short period of time. The first phase is Building Capital. As you start on your wealth building journey this is the first phase you pass through. Here you just want to be adding as much capital to your wealth as quickly as you can get your hands on it. 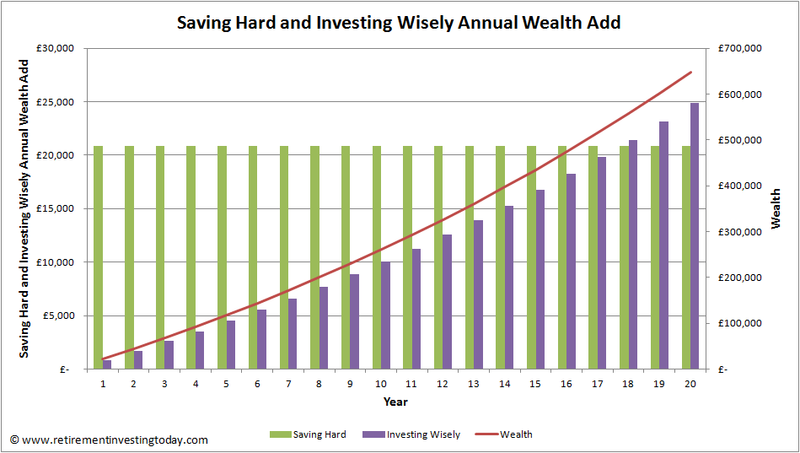 Saving Hard by Earning More and/or Spending Less will have a much bigger effect in this phase than Investing Wisely. The second phase is Return on Capital. Here while Building Capital is still providing a big boost to your wealth it’s now more important to have a stable investment strategy which is very tax and investment expense efficient. In this phase you could even start to ease of the Saving Hard by for example going part time or taking up that lower paid higher enjoyment opportunity you’ve always desired without moving your financial independence day greatly. Let me demonstrate the two phases with a simple example (where I’ll ignore inflation) that tries to cover many of the points that I personally live (and have lived) as well as regularly capture on this site. Average Joe works hard and for his hard work receives £45,000 per year making him a 40% higher rate taxpayer. 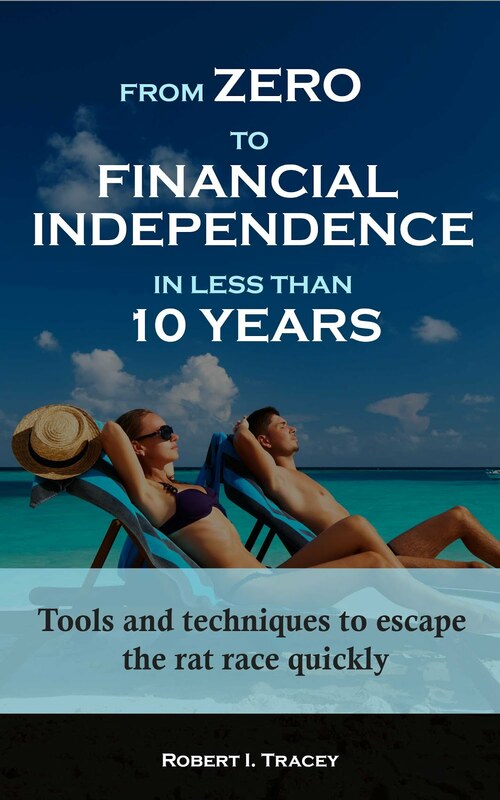 Joe wants early financial independence to give the option of early retirement and so starts to think about he might achieve that. He realises he firstly needs to focus on Building Capital by Saving Hard. His employer offers a pension scheme where if Joe salary sacrifices 5% of his own salary then they will match it. There’s some free money there so he goes for it. Salary sacrificing also brings the benefit of lowering Joe’s taxable salary to £42,750 saving both employee and employer National Insurance. Joe’s employee NI saved is added immediately to his pension but his employer also generously adds the 13.8% employer NI that they also save. A good start but Joe takes a step back and looks at the situation this has created. He is still paying £354 in 40% tax (2014/15 tax rates) but having done his sums he knows that because he only needs £16,000 before taxes and investment expenses to live a happy fulfilling early retirement he’ll only be paying a maximum of 20% tax during that phase of his life. Joe therefore decides to increase his employer contribution to 7% even though his employer will only match up to 5%. He is no longer paying any higher rate 40% tax. Allowing for employee and employer pension contributions as well as employee and employer saved NI Joe’s annual pension contributions have just hit £5,899. Joe knows that governments love to tinker with pensions and that because he’s young he’s not going to be able to get his hands on any of it until at least 58. Therefore he decides that’s enough pension contributions and that he also needs to also be saving and investing outside of pensions to bridge the gap between early retirement and pension age. Always conscious of minimising taxes Joe decides he’s going to save the allowable maximum of £15,000 into a Stocks and Shares NISA. Between his pension and his NISA Joe is now socking away 44% of his earnings (defined as salary plus employer pension contributions) or £20,899. After tax Joe now has £16,412 to live on which provides him with a lifestyle he’s happy with. Joe is very tax efficiently invested and he’s also investing in a balanced portfolio of different asset classes which Joe decides over the very long term should bring him a real (after inflation) return of about 4% as he’s also focused on minimising investment expenses. Joe also decides that in early retirement he’s only going to draw down on his wealth at 2.5%, to give him a good chance of not running out of wealth in old age, meaning he needs to build wealth of £640,000 (£16,000/2.5%) to be financially independent. 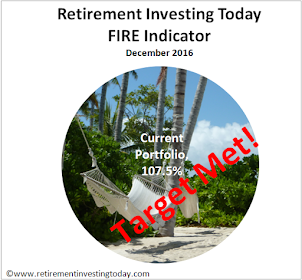 Joe is now set and the chart below shows his 20 year journey to financial independence and early retirement. The green bars (value read from the left axis) represents Joe’s annual Pension and NISA contributions which don’t change - his Saving Hard portion. The purple bars (value also read from the left axis) represent the annual investment returns that are achieved on his wealth (value shown by the red line with value read from the right axis). Just look at the early years. The vast majority is Building Capital by Saving Hard however as time goes on Return on Capital makes a larger and larger contribution. That’s Investing Wisely and eventually it even surpasses Joe’s Saving Hard contributions. Save Hard and Invest Wisely to Retire Early. Success in both elements are critical to success. Is that £16,000 a year in today's money going to be enough? You don't seem to have included the cost of a house in there. Everyone needs somewhere to live? Unfortunately I can't answer that question. It's a question that each and every one of us has to answer for ourselves after doing our own research. This is one of the reasons that I usually only talk in percentages rather than absolutes. We're all different. With this post I wanted to bring the higher rate tax pre-retirement and basic rate tax post-retirement discussion into the mix and so I went for numbers but my primary aim was to demonstrate the 2 distinct phases of wealth building that I've seen which I hope I achieved. - Have you ever been through the Early Retirement Extreme Journals forum? People on there certainly living on less than £16,000. One in particular has just retired in the Pacific North West of the US on about $20,000 which is a lot less. My experience has shown that it's actually amazing how little you need if you opt out of consumerism, challenge every spend and focus on what brings happiness and health for you and your family. - Yes we all need somewhere to live but get out of property price rip off Britain (particularly the South East) but stay in the EU and EUR40,000 will buy you a solid apartment. EUR80,000 will buy you a house with garden in a Mediterranean country. If you don't need to be close to a high paying job you have these sorts of options. I know I still haven't succumbed to buying in my very expensive part of Britain for this very reason. - On the 01 October 14 the minimum wage will rise to £6.50 per hour. That's about £12,675 per year. The average salary in the UK today is about £24,800. This linktells us that £16,000 would put Average Joe in the 42nd percentile of total UK income after tax. Given how Joe has invested he's not going to be paying tax so he really is average with a lot of people living on a lot less. - If Joe had Average Jane working by his side, even for part of that journey, then they're going to have more than £16,000. Did you read my above reply to Anonymous 1, particularly the first paragraph? The answer to your hypothesis is that it's none of your choices. Every single one of us will have a different unique sum of money which is based on many variables within our lives and only we can individually calculate it. It is the reason I try not to talk in £'s but rather percentages always. The post above primary focus was to show the 2 phases I'm seeing. It wasn't intended to provide a retirement number. It's fuzzy because I don't provide or even attempt to provide the answer. I share my methods and thoughts always as I progress on my journey but I calculate my number privately. Why don't I share? To avoid conversations that go something like you'll be eating baked beans in 15 years or how can you be spending so much. Your analysis seems to be suggesting you need $2M. The next reader might need $3M but then somebody who is heading down the ERE route might only want $500k. There is no general correct answer but instead many individual correct answers. Nice troll. Why does this apply to baby boomers? I'm 32. It describes what i've been doing for the last 7 years. My half of the household bills, including food = £300 per month. My half of a modest mortgage on a nice house = £320 per month. Everything else is a luxury that I decide how to spend, or save. I run a cheap car, take great holidays, and still save over 50%. The savings go towards mortgage overpayments, tracker funds, and cash ISA. i've been doing this since age 25. Savings are modest, but they are growing well on their own. Don't blame the boomers. Live well for £600 a month. Save hard. Take less luxurious choices. I'll be retired before my boomer parents. I'm not sure if you are a troll or just angry. Either has no place on this site. I contemplated deleting your post but so far since starting this blog I've only had to delete spam so I won't (yet). If you would like to get involved in the discussion I would ask you to be pleasent and respectful to both me and all the readers. That way we can all focus on what's important which is Retirement Investing Today. I'd also encourage you to read some of my other posts where you will soon realise that I am actually Gen X and not a baby boomer. The generous reader above is also clearly not a baby boomer. As someone in their early 60s, I suppose I fall into this category but I would not regard myself as either selfish or immature. Having left school at the age of 16yrs, I have worked hard for the next 40 yrs paying taxes and NI to fund the welfare state and helping to pay the pension for those who went before and who fought in two world wars. Rather than destroying the future for my children and grandchildren, I hope I have helped to make it a little more comfortable as those who went before did for me. As for paying for my retirement - I have managed to save a little along the way to enable me the option of earlier 'retirement' and in a few years, I will receive my state pension which will be paid by those in work today - only fair as I helped to pay for those who were retired when I was working. What would you suggest as an alternative? Perhaps you could enlighten us with your own contribution to society. RIT: You didn't include the state pension in your retirement income. I seem to remember that nice Mr Clegg saying something about £7000 p.a. or was I dreaming, or are you being pessimistic about the prospects of every getting that? I didn't include State Pension in the Average Joe (to be clear and as detailed in the comments above this is not my retirement planning scenario but just an example to demonstrate the 2 phases) example as that's something we, particularly if we are some way off State Pension Age, cannot "control". Additionally, all governments have demonstrated a willingness to (and will also be forced to for benefit cost reduction reasons) continually tinker so it's a big risk if a long way off IMHO. Within my own personal plans I don't want to carry that risk and so am assuming I get no State Pension as I think worst case it will become means tested. If I get anything it's all upside which will reduce longevity risk. I am a big fan of your blog. Great analysis and thought out posts. The following is not a comment or question to your present post, but rather a question on investment tracking. I wish you the best of luck on your journey towards FI and please keep up posting! I bet there are many of us lurkers around here that are motivated by following your progress. I really need to earn more... all in good time I suppose, at least thanks to RIT and Monevator and all of those who share the mantra of FI, i'll know what to do when I get there. Keep up the good work RIT. Glad to be reading your posts again.